Altruism may be defined as the ‘selfless concern for others’ in association with ‘behaviour that benefits others at personal cost’. Therefore if I donate a pound to a beggar this appears to be an altruistic act. I have made myself poorer in order to benefit the beggar. But what does it actually take for an act of apparent kindness to be rightfully considered as an altruistic act, and are such acts even possible? 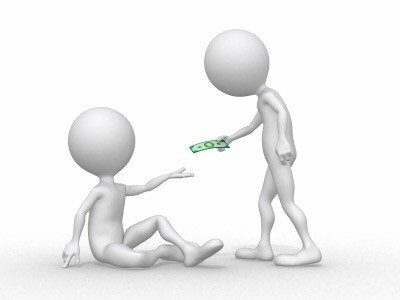 Does altruism really exist? The fact is that by donating the pound to the beggar I may have saved myself from the guilt of not donating the pound. Outwardly it might seem that I am kind-hearted and willing to act against my own self-interest but my deeper motivations may reveal a different story. In these circumstances, with no obvious chance for reward, has the man acted altruistically?